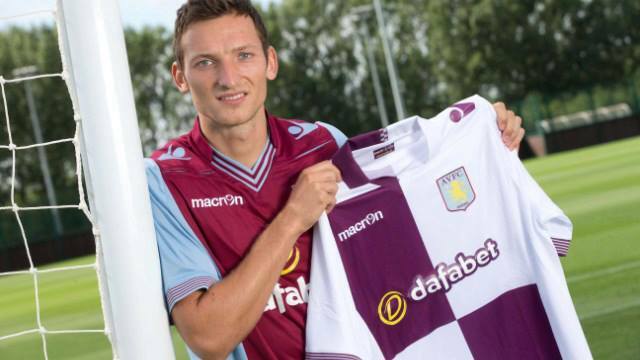 Will Libor Kozák be the only Villa deadline business? The so far reported in’s and out’s of Villa’s deadline day dealings. We knew there would be some Villa business done today, but a striker? An attacking-midfielder was the top of the shopping list, if Villa were to buy just one more player, so the Czech centre-forward’s name was a bit of a surprise. With the traditional centre-forward attributes of the 6 ft 3 player, it’ll be interesting to see how he features in Lambert’s plans. Kozák doesn’t have the guile or skill set to replace either Gabby or Weimann in the wider forward roles in Lambert’s currently favoured 4-3-3. So where? Alongside Benteke in a front two? With wider midfielders to provide the deliveries? What about Helenius? Does Kozák coming in mean Lambert has one-eye on Benteke’s potential exit next year, if the Champion’s League clubs come knocking? The plot thickens. Lets just hope he has a bit more to offer than the last Czech forward to grace Villa Park – Mr Baros. Despite being in the shop window for several months now, eager buyers for Villa’s outcasts haven’t exactly been forthcoming. Brett Holman had his contract terminating to help him flee, while Darren Bent obviously was more keener than the rest to be playing for a team by the time the season started, as he set off to Fulham in a decent loan move for Villa. What of the rest of the much mooted ‘Bomb Squad’. 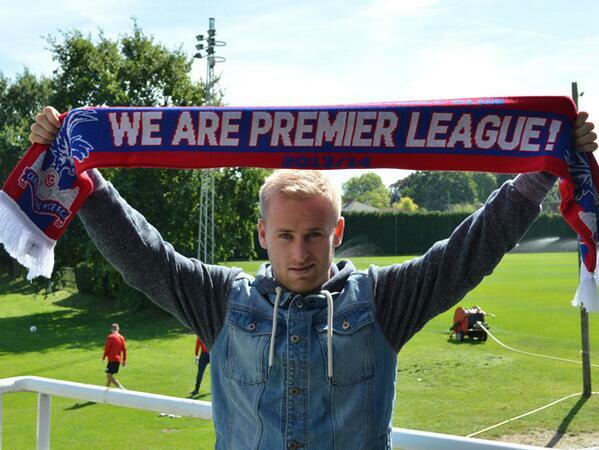 Barry Bannan is off to join Ian Holloway at Crystal Palace after penning a three-year deal. For some Villa fans, it’ll be good to see him still have a crack at the Premiership, just out of the curiosity to see if he can make it. Will he be another Steven Davis? The Northern Irish midfielder was deemed too lightweight for Villa’s midfield by Martin O’Neill, but managed to carve out a decent career for himself at the likes of Rangers and Southampton, as well as internationally for North Ireland. Aston Villa’s luckiest ever winner of the club’s Fan’s Player of the Season award (2012) Stephen Ireland has finalised a season-long loan to Stoke City. The big question is how much of his considerable wages would Stoke front up? Stoke City have a track-record for paying high wages to attract players you’d never imagine would go there, so there’s a chance they’ll pay a high percentage of his wages, if they escape paying an initial fee. When he goes, for most supporters, it’ll be like a curse lifting from the club. Speaking of curses. Will anybody come in for Hutton? Still an active Scottish international (he played well against England), he surely isn’t that bad. Shay Given – Liverpool? Doesn’t look like it. Follow MOMS on Twitter on @oldmansaid , where will cut through the rumour bull.